$159.0 HINKS No. 2 Oil Lamp * Victorian * Excellent Condition * Must See!!! 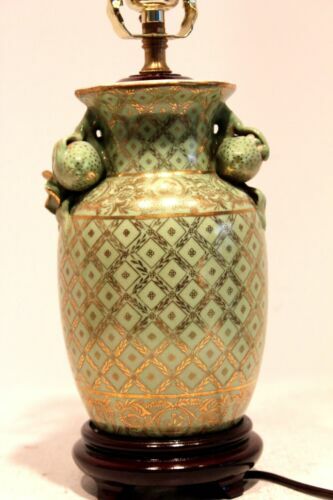 Buy: $74.0 PAIR OF VINTAGE Asian CERAMIC GINGER Vase JAR TABLE LAMPS Blue Green 25"
$69.98 ANTIQUE PORCELAIN TABLE LAMP W/ SEVRES STYLE PAINT, SCROLLED BASE & ORMOLU BAND. 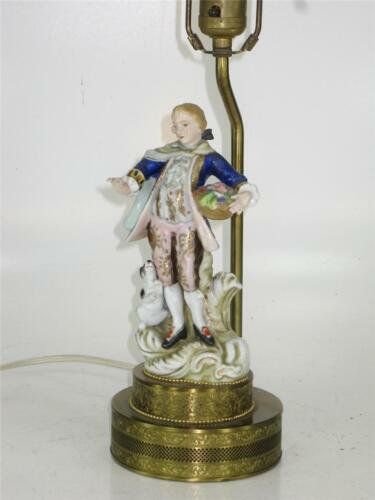 $30.0 Old Japan Hand Painted Warrior & Crackle Glaze Signed Ceramic Table Lamp 9 1/2"
Buy: $89.0 Vintage German Porcelain Perfume Lamp Night Light Cowboy Playin The Accordion. $130.0 Victorian Style Floral Figurine Art Nouveau Table Lamp 28.5 "
$129.99 Unique Cute Porcelain Apple Green & Gold Accent Lamp18 K Gold Gilded 19"
$449.99 Pair of Blue & Red Asian Porcelain Table Lamps w/ Woman & Bird Design ~ 28"
Buy: $125.0 Vintage / Chinese / IMPERIAL YELLOW / Vase / with Dragon & Clouds / Table Lamp. 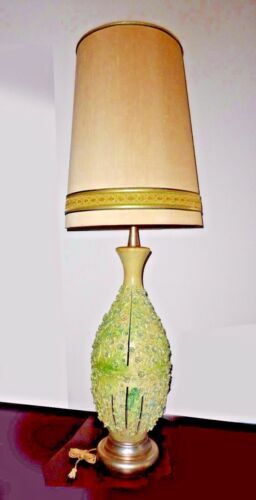 $599.99 VTG Italian Double Heron Chinoiserie Fine Porcelain Ceramic Table Lamp Italy 28"